The Case Western Reserve University volleyball team capped their season with a fifth place finish on Nov. 3 and 4 at the University Athletic Association (UAA) tournament. They lost their opening game to Emory University but won their next two against Brandeis University and University of Rochester. CWRU entered the tournament as the fifth seed and Emory came in as the fourth seed. After a 3-0 defeat earlier in the season, the Spartans suffered the same fate: They fell in three sets by scores of 19-25, 19-25 and 16-25. 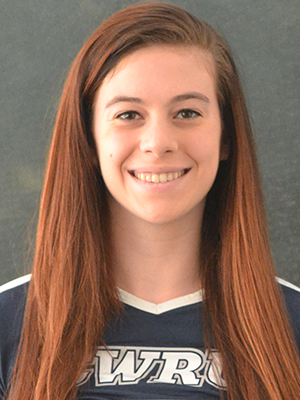 Second-year returning outside hitter Brianna Lemon contributed team highs in kills (13) and digs (nine). First-year middle hitter Katie Kaminski had nine kills and second-year returning setter Faith Ellis had 19 assists. 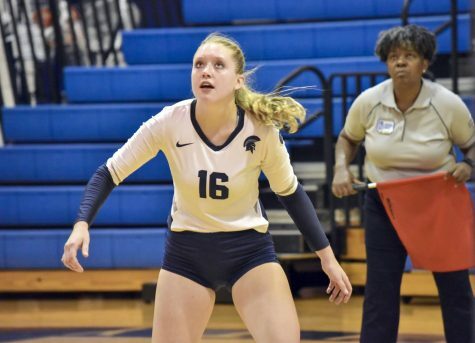 The tournament was held at Emory in Atlanta and second-year returning outside hitter Karley King mentioned that Emory came out fired up on their home court. Head Coach Karen Farrell admitted that Emory was impossible to stop. 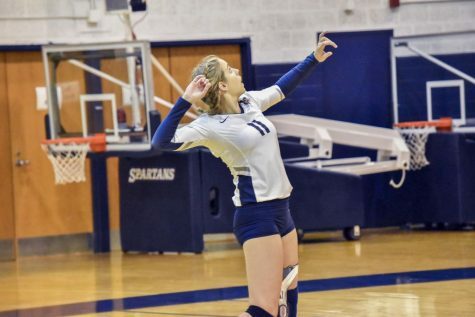 Their hitters jumped higher than the Spartans’ blockers, and they did not make many mistakes. The players shared in this sentiment. After the loss the team had to rekindle its spirits to face Brandeis. The Spartans won in three sets: 25-16, 25-18 and 25-19. Ellis played a solid game with 31 assists and 11 digs. Third-year returning libero Karina Bondelid also added 11 digs. Second-year returning middle hitter Haley Sims had a great game up front defensively, evidenced by her five total blocks. Ellis was glad the team did not play down to its competition. The fifth place match pitted the Spartans against Rochester. In the three total sets CWRU won by a combined 20 points. Lemon and Sims led the attack with 14 kills for the former and eight for the latter. 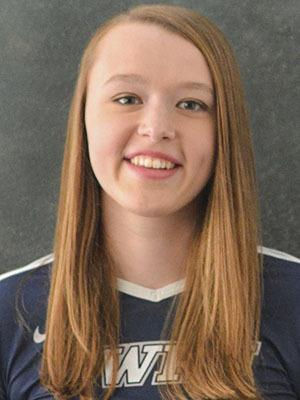 First-year outside hitter Anna Jaskoviak arguably played her best game of the weekend: four kills and 10 digs as well as a service ace. Farrell likewise thought the team performed well after the first round loss. As Farrell and the players know, a fifth place finish in the UAAs is nothing to scoff at. The four teams that finished above CWRU all made the NCAA tournament, proving just how tough this conference is in volleyball. Along their mountain climb the team set a goal of 20 wins. Unfortunately, they fell one win short of that goal, finishing with a still-impressive record of 19-12 for a .613 winning percentage. The team went above .500 at home (6-3) and at neutral sites (11-4), but struggled in true road games (2-5). Lemon finished the year fifth in the conference with a 3.14 kills per set and sixth with 339 kills. Besides leading the team in kills, Lemon also had a team leading 353 digs. Bondelid was second on the team with 252. Ellis was second in the conference in assists per set, averaging about eight. Kaminski and Sims were sixth and seventh in kill percentage, .284 and .282, respectively. On Wednesday Nov. 8, the UAA released awards for the season. Lemon brought home All-UAA First Team honors, Sims garnered All-UAA Second Team, and Kaminski received All-UAA Honorable Mention. Some highlights of the season for the players included beating Carnegie Mellon University, then ranked in the top 10 nationally. Sims thought that the team’s “improvement from the first game to the last game” was something to celebrate as well. Looking ahead to next year, the team looks to make tremendous strides. 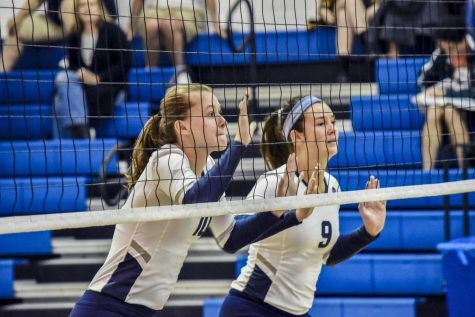 They are losing fourth-year veteran middle hitter Emma Briggs, a tremendous teammate and leader, but are returning many strong players, including their top five leaders in total kills (Lemon, Sims, King, Kaminski, Jaskoviak) and their entire defensive unit. Ellis will also return to continue her setting duties as well as first-year setter Jiayi Shen. Sims stated that Briggs is willing to do whatever it takes for the team, whether that was taking a lesser role or switching positions, and third-year returning defensive specialist Noel Jeansonne contributed that Briggs never is one to complain. A typical offseason is rather busy. Soon they will begin personal training and continue until about January. Training will then take place with a team trainer. The spring brings a short spring season where players will look to improve their own games as well as grow as a team. Next season the volleyball team will look to conquer their yearly goal of 20 wins. Adding to that, they would like to compete for a top three spot in the UAA. If they can achieve that, they will increase (but not guarantee) their chances of landing a bid to the NCAA tournament. King feels like the team can definitely be in the top four in the conference next year, which prompted a flurry of agreements from her teammates. One area Farrell wants to see improved is the team’s consistency. She liked the way the team competed all season, but knows that consistency from set-to-set as well as urgency for each match are two areas that will improve with maturity next year. 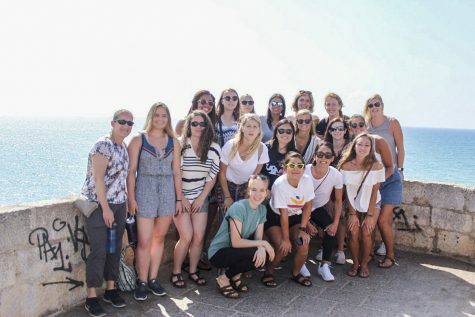 “We need to invest time growing as a team… we need a more solid foundation, more solid chemistry, trust, all those things that when you’re in close matches you can rely on,” she said. While this year’s mountain climb fell short of the 20 win goal, it was not a failure. The Spartans competed in most, if not all, of their matches and were a force to be reckoned with in the UAA. And with an extremely young team, improvement is virtually guaranteed.